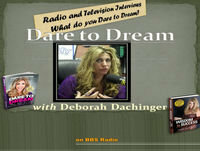 Listen to the show every Wednesday at 12:00pm Pacific Time and 3:00pm Eastern Time on BBSRADIO.COM - Station 1. If You Were Given The Dream, You Were Given The Power To Make It Come True! ¿Cómo la Realidad Aumentada ayuda a incrementar ventas en Retail?